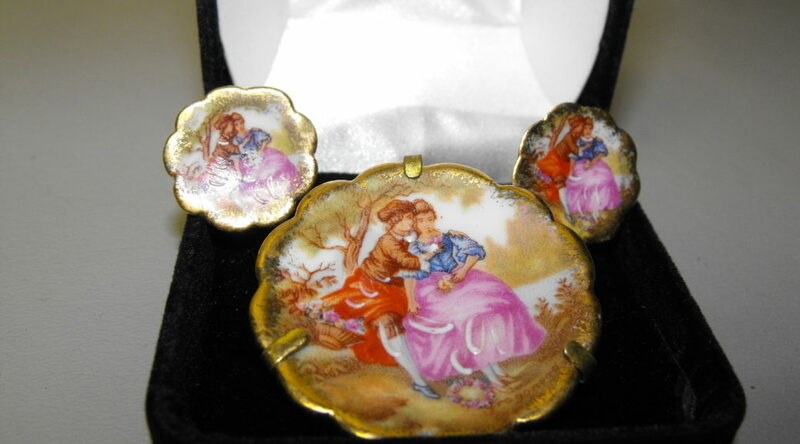 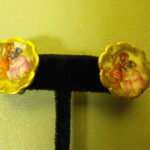 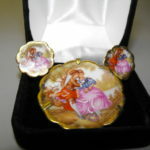 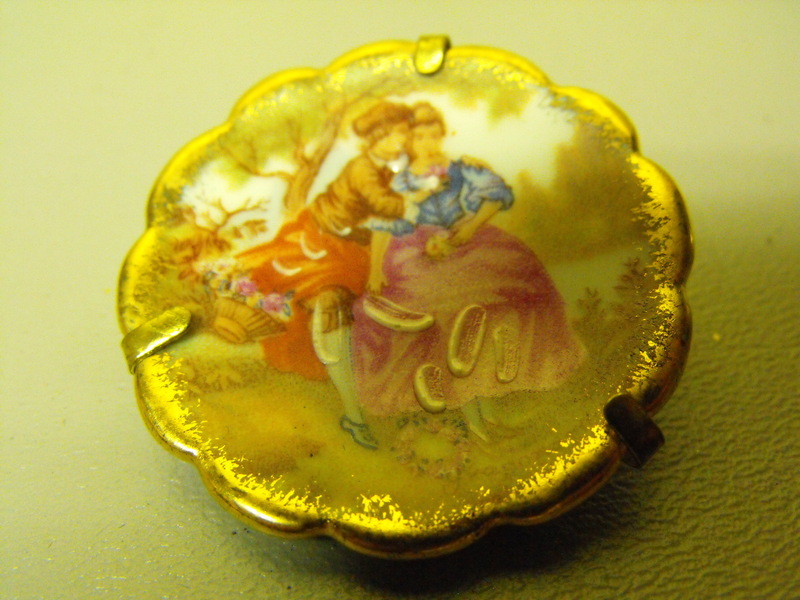 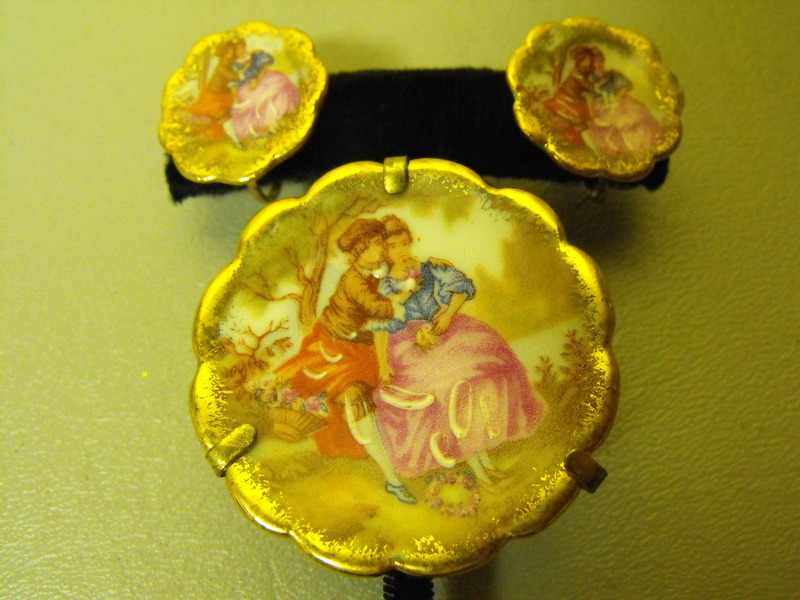 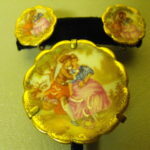 Ah…..Springtime, when a young man’s fancy turns to thoughts of love…..and we have this precious moment captured in a very old , hand painted, Limoges/France signed Porcelain pin and earring set. 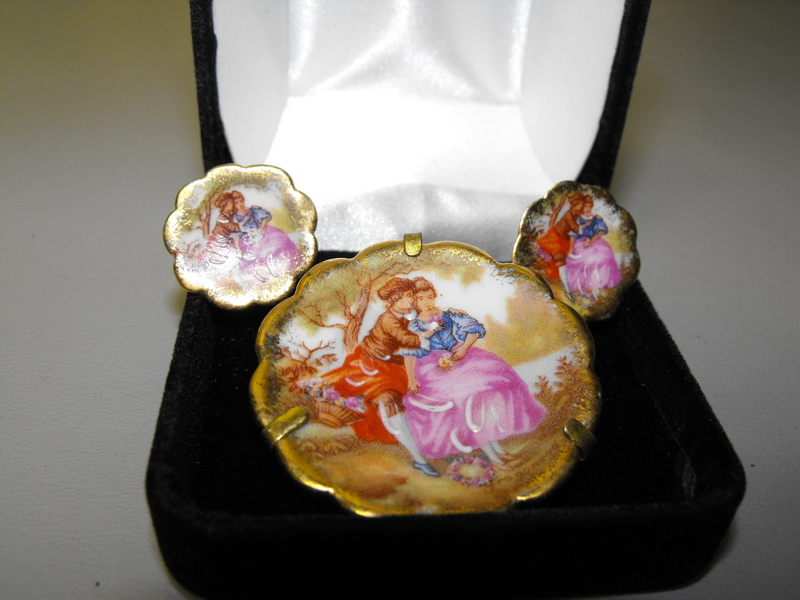 We have seen different versions of this pin scene, but the matching screw back Porcelain earrings are a rarity. 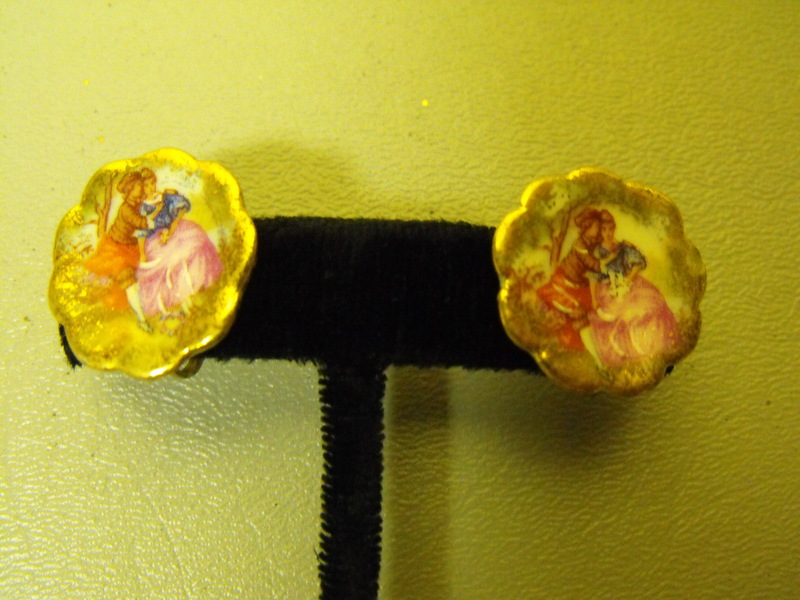 The set is in magnificent condition with all the gold plate showing around the scalloped edges. 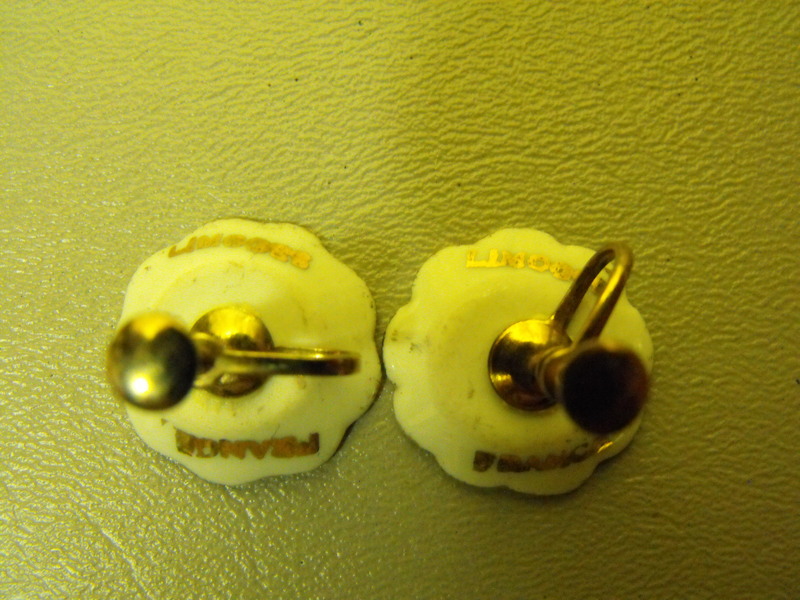 and the subjects clear and crisp. 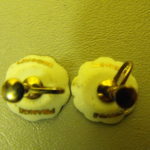 The earrings are just slightly larger than a 10 cent piece and the pin measures about one and one half inches in diameter or about the size of a Silver Dollar. 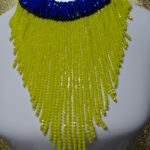 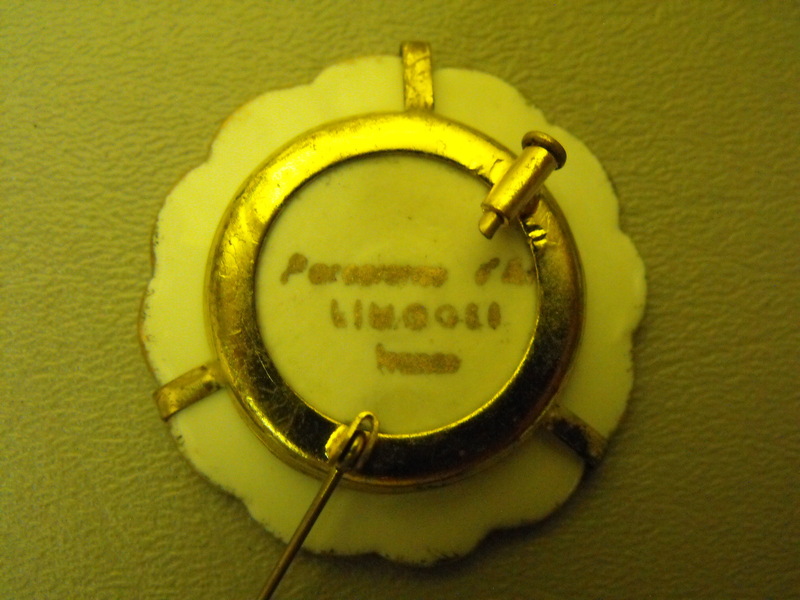 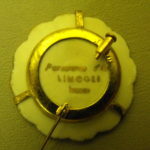 Some describe the pin as a Limoge Mini Plate and the back has a “Trombone” workable clasp. 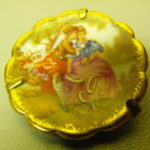 Love is in the air, take advantage of it.